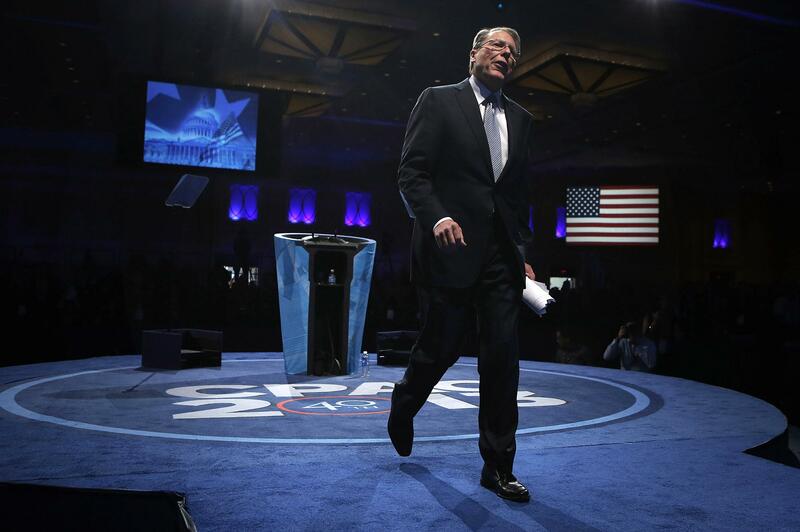 Wayne LaPierre, CEO of the National Rifle Association, leaves after he delivered remarks during the Conservative Political Action Conference on March 15, 2013 in National Harbor, Maryland. UPDATE: Tom Maguire pointed out an error in this item. I said that the 11 a.m. Thursday vote would affect the “letter grade” of Democrats. But in this letter, Cox and the NRA are promising to score the cloture motion “to move to final passage.” The Thursday vote was on whether to start debate. My mistake, based on a too-quick reading of the letter. The day ends with the NRA issuing a “key vote” threat on Manchin-Toomey. After all that. The wording is credited to Chris Cox, the NRA’s executive director of legislative action, a rare media presence. And so we have a test, next week, of whether Republicans and red state Democrats are willing to buck a fringey NRA position even though it’ll knock their ratings down by, at most, a letter grade.